Sometimes in the upgrade to a new technology, such as the NBN, not all goes as planned. Offered an upgrade to the way high speed broadband would be delivered I jumped at having Fixed Wireless Broadband. Only snag – more like a large log really – was that my AM Radio was overwhelmed by interference. Despite using Telstra’s Crowdsupport and beginning to let others know by social media I still don’t have the issue resolved. Here is a letter I’ve written to a couple of newspapers. 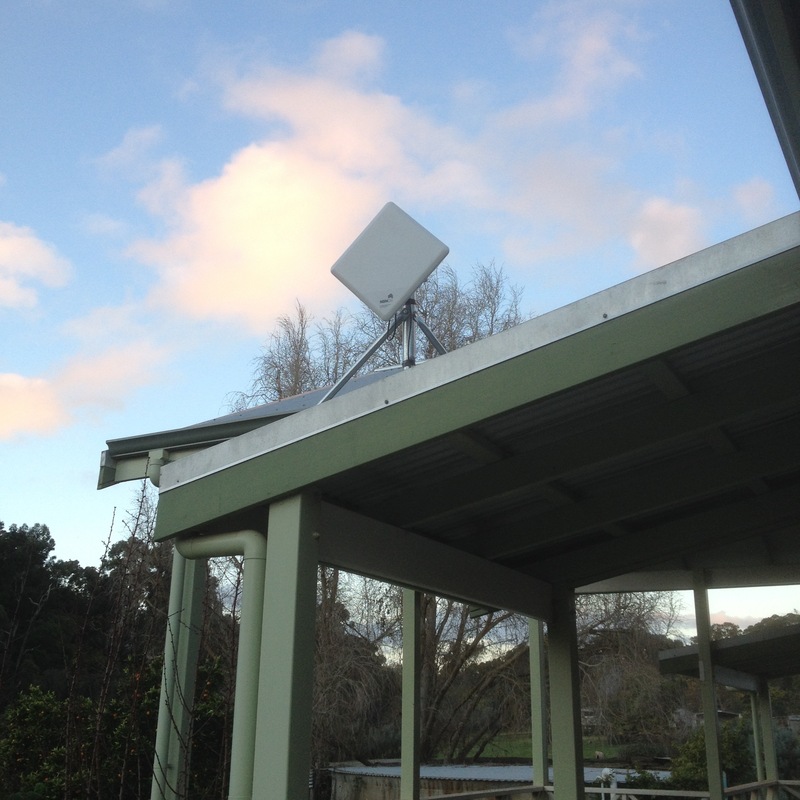 Fixed Wireless Broadband antenna on veranda roof next to kitchen about 4 m from radio set. We usually listen to Local ABC Radio South West broadcasting from Bunbury. We receive this via transmitters at 1044 from Bridgetown or 684 from Busselton. The radio in the house is best heard from Bridgetown as the signal for us in a Balingup valley is not strong. We live in a bushfire-prone area. As ABC Local Radio South West is the designated station for receiving emergency alerts we need to have this working at all times. As per the Department of Emergency Services advice we have a radio that operates either with mains power or with batteries. Despite alerting NBN and Telstra, our telco provider, to the problem within hours of the installation of the NBN, weeks later we are still waiting for a remedy. We’ve had reference numbers, complaint registrations and numerous phone calls, but nothing has been implemented to fix the problem. What is worse, is the fact that a near identical problem was identified on Telstra’s Crowdsupport which was resolved in May last year. Search on “NBN radio” and you will find my posts and the resolved interference problem. I’ve contacted the office of the Minister for Communication – they were quite helpful, my local MHR who was sympathetic, and the local installation company. So far to no avail. I would be interested to know if any one else in the inland South West of Western Australia has experienced similar problems. To date I have found that many do not have access to NBN or that they cannot receive ABC Local Radio at the best of times. Despite all the technological marvels of the 21 st Century I have the sneaking suspicion that the whole telecommunications set up in the rural areas is held together by bits of wire and pieces of string. As for the bureaucracy surrounding the NBN; it would do the ABC TV series “Utopia” proud.